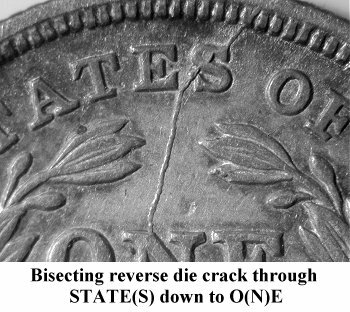 Comments: A vertical die crack completely bisects the reverse from north to south during this late die state. 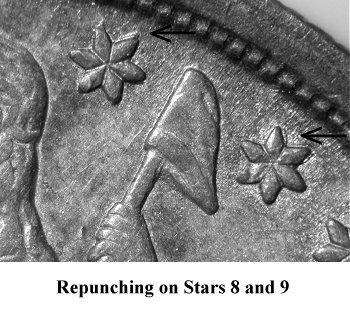 On Obverse 2, the repunching of Stars 8 and 9 is still evident on higher grade examples. 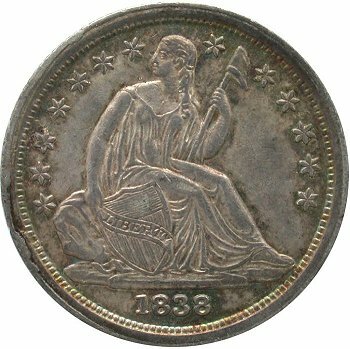 Minor rim cuds are present on the left side of the obverse. 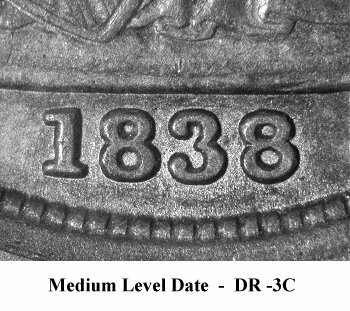 Cherrypicking this late die state cracked reverse variety will prove to be very challenging. 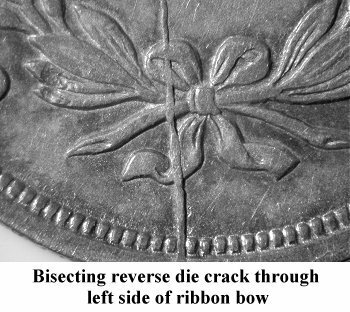 Since the die crack is easily noticed, specimens are typically flagged by dealers or collectors and researched for a potential premium. 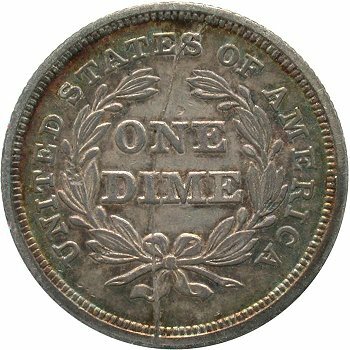 This spectacular die state is listed in the Top 100 Varieties as entry #5 and considered to be R4 rarity in grades of VF or better.